Saddle up Cowboys and Cowgirls! Come explore Round Rock’s history and the cowboying spirit of The Chisholm Trail. Learn about life on the trail and sharpen up your cowboy skills. Experience week-long hands-on activity camp at a historic Texas homestead for students entering 3rd-6th Grades! Scholarships are available for first time campers. Cost: Come explore Round Rock’s history and the cowboying spirit of The Chisholm Trail. 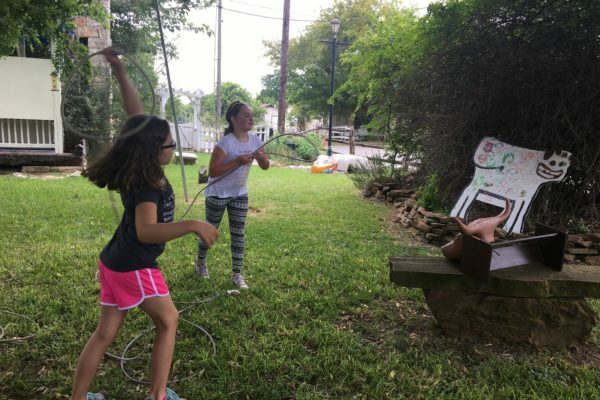 Cowboy Camp offers opportunities to learn, play, and create at The Williamson Museum on the Chisholm Trail. Campers will experience life on the Chisholm Trail through crafts, games, art projects, snacks and stories at a historic Texas homestead. This camp is for students entering 3rd-6th Grades! Lunch and Snack are provided. Scholarships are available for first time campers.